If you’ve done any research into CBD, you’ve likely heard it touted as a miracle compound with uses in medical applications ranging from chronic pain to epilepsy to even cancer. While we’re firm believers in the necessity of further scientific research on CBD and other cannabinoids, preliminary studies, combined with the stories of thousands of patients, are compelling—CBD has been known for decades to be a potent antioxidant (a compound with cancer-fighting properties), and recent research has shown it to effectively treat a variety of symptoms. The reason CBD is so effective against so many conditions is its anti-inflammatory action. Think about it: inflammation is the root of a variety of conditions, from type II diabetes to heart disease to epilepsy, and treating that inflammation can help alleviate symptoms. CBD also has analgesic (pain-relieving) and anxiolytic (anti-anxiety) properties, broadening its potential applications to cover a wide variety of illnesses. This is all great news, as it means that it is possible to replace your pharmaceutical regimen with CBD! That said, CBD has another added benefit that is less well-known: it helps stave off the symptoms of medication withdrawal. This makes it an especially good choice for those seeking to get off the pharmaceutical roller coaster, as it can help ease the transition when discontinuing your medications. Today, we want to discuss the science of how CBD alleviates withdrawal symptoms, and how you can use it to get yourself off of pharmaceuticals, many of which carry the potential to cause undesirable side effects, including addiction and dependence. CBD works naturally with your endocannabinoid system, which is a system of two different types of receptors (called CB1 and CB2, though scientists suspect there may be one or more other types that have yet to be discovered. There are also other cannabinoid receptors that do not bind to THC (which we’ll discuss in more detail in a moment) working together to help regulate your body and maintain homeostasis. A term originating from the Greek homio meaning “stable” or “equal,” homeostasis refers to the stable, natural condition of your body in a relaxed state. CBD helps stimulate the endocannabinoid system to support this state, bringing your body closer to homeostasis and soothing a variety of bodily systems. CBD is interesting in that it doesn’t directly act on either the CB1 or CB2 receptor. 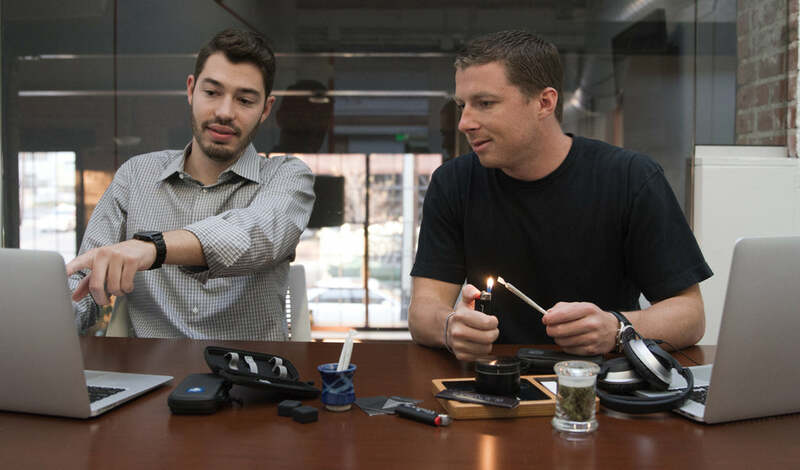 Instead, it acts on a variety of other cannabinoid receptors like TRPV-1, adenosine, and serotonin receptors to regulate the systems of the body. This sounds complex, but we’ll explain what each of these actions mean in practice. The TRPV-1 receptor regulates things like body temperature, pain perception, and inflammation, and is responsible for many of the primary effects of CBD. CBD binds to this receptor like a lock to a key, stimulating it and helping regulate these symptoms. CBD’s action on adenosine receptors is especially interesting: not only does its action on the receptor help reduce both anxiety and inflammation, but the adenosine receptor itself is involved in the production of glutamate and dopamine. Dopamine is a familiar compound that is involved in motor control, cognition, and motivation, while glutamate mediates excitatory signals and is involved in memory, learning, and cognition. Now, directly to our point: CBD acts on serotonin receptors—specifically the 5-HT1A serotonin receptor, which is involved in a variety of systems, including pain perception, nausea, appetite, anxiety, sleep and, most importantly for today’s purposes, addiction circuits. Stimulation of this receptor can help alleviate some of the physical symptoms of withdrawal, as well as soothing the neurons involved in the addiction pathway created by many pharmaceuticals. Studies so far have shown that it takes a fairly high dose of CBD to stimulate the 5-HT1A receptor, so you may need to take a higher dose while you’re tapering than you might otherwise in order to keep withdrawals at bay. That’s okay! Unlike pharmaceuticals, CBD doesn’t require you to wean yourself off, so you can always decrease your dose when you’re out of the withdrawal period. While CBD can work nearly instantaneously depending on the method you use to take it, it is most effective when used over time. This is why we recommend starting your CBD regimen and finding a comfortable dose, then maintaining that for at least two weeks before you begin your chosen tapering program. This will allow the CBD to act as a preventive for withdrawals while also giving you the flexibility to adjust your dose if necessary. Before we close, we need to discuss the nature of withdrawal symptoms, the types of withdrawal periods, and how to adjust your tapering schedule if you feel withdrawal symptoms coming on. First, you need to know what to expect from discontinuing your particular medication: some withdrawal symptoms, like those from opioids, are fairly well-known, while others, like the “brain zaps” associated with withdrawal from some antidepressants, are less well-understood and can be very disconcerting if you don’t know what they are. Furthermore, some medications, particularly psychotropics, have a notoriously long withdrawal period, and riding it out may not be feasible or healthy. While increasing your dose of CBD can be helpful in treating your symptoms, don’t rule out temporarily restoring your pharmaceutical dose before trying tapering again, this time at a lower increment. Tapering safely may not be a perfectly linear process, and that’s okay! Try using CBD to help ease your withdrawal symptoms, but don’t get discouraged if it doesn’t work for you or your withdrawals are too severe and you have to temporarily restore your dose. It doesn’t make you weak or less determined to discontinue these medications, and eventually you will succeed. Listen to your body and treat yourself with kindness during this time, and the rest will come. 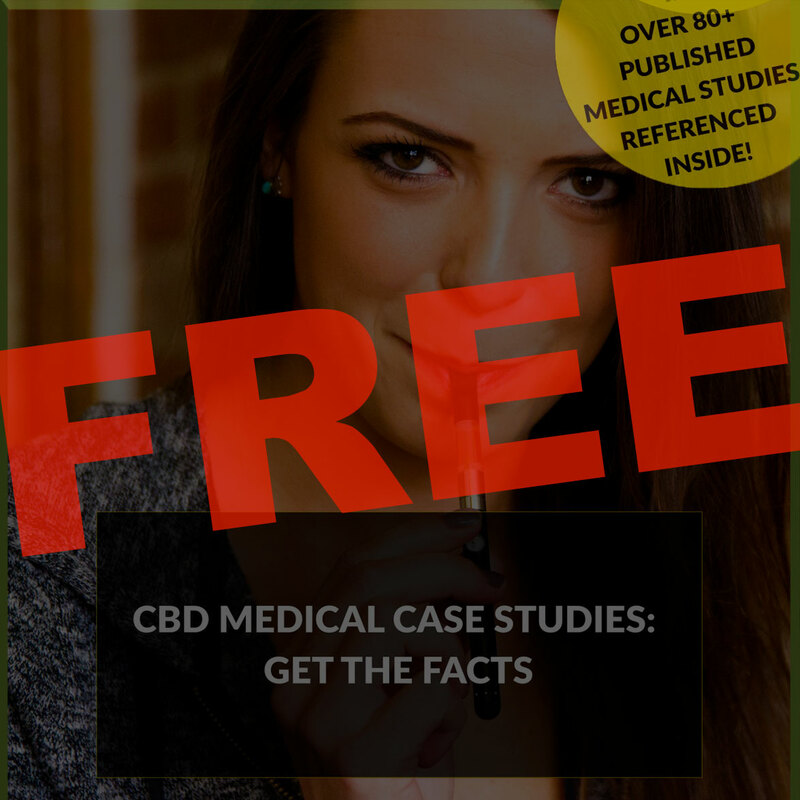 We've written a comprehensive CBD eBook designed to make this process even easier for you! CBD can treat withdrawal symptoms at a variety of levels by acting on multiple different cannabinoid receptors, alleviating not just the physical symptoms of withdrawal but also soothing the circuits underlying addiction. Since it carries no potential for abuse, addiction, or overdose and can be applied to a vast array of medical conditions, CBD is a viable and attractive option for many patients looking to abandon the pharmaceutical carousel.